This present privacy notice sets out the basis on which any personal data Lausanne Tourisme (« Tourism Office » or « We ») collects from you, that you provide Us, or that We may collect from other sources will be processed by Us. This includes the various ways in which you interact with Us, whether personally, via email or by phone, or through the website (« Website »), or interactive terminals. The Tourism Office is the controller for Personal data concerned by this Privacy Notice. 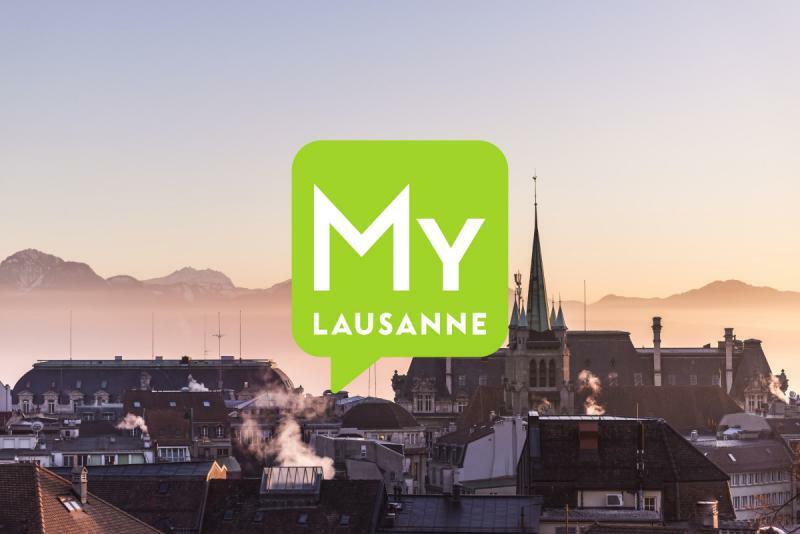 Its headquarters is at lAvenue de Rhodanie 2, CP 975, CH-1001 (Switzerland) and may be contacted via email at this address rgdp@lausanne-tourisme.ch. The Tourism Office is in particular responsible of the following websites www.lausanne-tourisme.ch, www.my-lausanne.com, www.lausanne-montreux-congress.ch . We may also interact with the users (« Users ») through the various services we provide (« Services ») in our premises, via phone, email or online. 3. Which Personal data do we collect from you? When you contact Us or when you communicate with Us (for example via your emails, in writing, via phone calls, online or at our counters), We can collect Personal data you exchange with Us. These Personal data include your full name, your postal and email address, your phone number/s and your reservation informations. These Personal data are collected in order to provide you the Services and their processing is necessary for the performance of the contract that binds Us to you. You have the possibility to subscribe to our newsletter. In that case, We request your email address, your name and surname and optionally additional informations like your gender, your function and your country of residence. We process these Personal data in order to personalise informations and offers that will be sent to you and in order to focus them better according to your interests. Upon your subscription to our newsletter, you give Us the authorisation to process the aforementioned Personal data in order to send you regularly our newsletter. This authorisation is deemed to be a consent and constitutes the lawful basis for the process of your Personal data in this context. If the applicable law does not require consent, the regular sending of newsletter is necessary for our legitimate interest to keep you informed. A link is included at the bottom of each newsletter where you may unsubscribe to our newsletter at any time. These Personal Data are in particular collected through cookies and similar technologies, which use is regulated by article 6 of the present privacy notice. Technical information collection relies on our legitimate interest to offer you the best experience on our Website and to develop new Services. Your payment method processing is necessary for the for the performance of the contract that binds Us to you. The processing of other Personal Data relies on your consent. When you allow a third party social media (like Facebook, Twitter, Google+, YouTube, LinkedIn, Pinterest, Instagram, etc.) to share your Personal data with Us, we are entitled to receive any Personal Data that you share publicly on the social media, that is part of your profile or that you allow the social media to share (like your name, email address, gender, profile picture, friend’s list or contact list, preferences, etc..). These Personal data are collected in order to personalise and improve your experience and in order to inform you of offers and news that might interest you. Their processing relies on your consent. We may receive your Personal data if you use our partner’s (« Partners », as defined in Exhibit A) websites, services, and applications. Their processing relies on your consent. We will only retain your Personal data for as long as necessary to fulfil the purposes We collected it for, as described in this present privacy notice or in order to offer our Services. We decide on a case-by case basis in order to determine the appropriate retention period, and therefore the nature, the purposes for which We process your Personal data and the applicable legal and operational requirements are taken into consideration to do so. In some circumstances We may anonymize your Personal data so that it can no longer be associated with you, in which case We may use such information without further notice to you. Once you no longer have a relationship with Us, We will retain and securely destroy your Personal data in accordance with applicable laws and regulations. We may rely on your consent to share your Personal data with our Partners in order to meet your demands and needs. We may also share your Personal data with our external providers («data Processors») in particular online booking service providers, information and tourist recommendation service, newsletter edition and distribution service, marketing analysis service, advertising service, hosting services, maintenance service, call centre service and credit card payment service. We may share your Personal data to governmental, judicial or administrative authorities if required by law, to protect our rights or our legitimate interests. Your Personal data may also be shared to other third parties if required by our legitimate interests or legitimate interest of other third parties. Cookies in themselves do not identify the individual User, but just the computer or mobile device you are using via a randomly generated identifying tag. You can find more information about Cookies at www.allaboutcookies.org and www.youronlinechoices.com, where you will also find additional informations about behavioural advertising and online confidentiality. 6.2 What type of Cookies do We use? These Cookies are essential in order to enable you to move around our Website and to use its features. Without these Cookies, some elements of our Website may be blocked or not function correctly. We use these Cookies in order to let you access our Services. The processing of the Personal data collected by these Cookies rely on our legitimate interest and allow a correct functioning of our Website. These Cookies collect information on the pages visited, for instance which pages you go to more often, and if you get error messages from web pages. We use these Cookies in order to preserve our Website’s efficiency and ease of use and know the way it is used. Most of the time, these Cookies don’t collect information that identifies the User. Where Personal data is collected by these Cookies, their processing relies on our legitimate interest to know our Website’s use and optimize it. These Cookies allow our Website to remember choices you make (such as your User name, language, or the region where you are) and may also be used to provide the Services you have asked for. We use these Cookies to maintain the Website’s effectiveness, ease of use, and to provide you with a seamless experience. The processing of Personal data collected by these Cookies rely on our legitimate interest to offer you a User-friendly Website. These Cookies are used to know better our Website’s Users, to adapt its content, to keep statistics about our Website’s use and to deliver more relevant adverts on third parties’ websites, based on your interest that you demonstrated during our Website’s use. In some cases, We use these Cookies to deliver more relevant adverts to you and your interests. You can at any time refuse these Cookies through your browser’s settings. If required by applicable law, these Cookies are only placed with your consent. We track your consent by using a technical Cookie. Hence, in case you suppress Cookies on your device, We shall again later obtain your consent for the use of such Cookies. We may include on our Website third party’s computer applications allowing you to share our Website’s content with other people and let them know your opinion or consultation about a content of our Website. These Cookies use is subject to these third-party privacy notice over which We have no control. Please refer to the privacy notice of the respective social media in order to learn more about the way they use their Cookies. Your Personal data will mainly be processed in Switzerland, but may also be transferred abroad when appropriate. Applicable rules will be respected and appropriate measures taken prior to any transfer of Personal data abroad. You may obtain a copy of these measures by using the contact details set in article 2 of the present privacy notice. 8. How do We protect the security of your Personal data? We have put in place appropriate security measures pursuant to the acknowledged rules of the art. This includes in particular an access limitation and security and organisational measures. Please note however that We cannot guarantee an absolute security for your Personal data, to the extent that the Personal data retention and electronical transmission involves certain risks. You have a number of rights according to the data protection legislation. These rights can be limited in particular when they affect rights and freedom of others. We will inform you of applicable exceptions in our answer to your potential request. right of access: You have the right to know what Personal data We hold about you and to ask, in writing, to see your Personal data. We will provide you with details of the records We hold as soon as possible and at latest within one month, unless the request is complex. We may require proof of identity before We are able to release the Personal data. Please use the contact details set in article 2 of the present privacy notice if you would like to exercise this right. right to be informed: You have the right to be informed how your Personal data will be used. This privacy notice as well as any additional information or notice that is provided to you either at the time you provided your details, or otherwise, is intended to provide you with this information. right to withdraw consent: Where We process your Personal data on the basis of your consent (for example, to send you marketing texts or e-mails) you can withdraw that consent at any time. To do this, please contact Us using the details set in article 2 of the present privacy notice. right to object: You also have a right to object to us processing Personal data where We are relying on it being within our legitimate interests to do so. To do this, please contact Us using the details set in article 2 of the present privacy notice. right of erasure: In some cases, you have the right to have your Personal data to be deleted. Where you have requested that We do not send you marketing materials We will need to keep some limited information in order to ensure that you are not contacted in the future. right of rectification: If you believe your Personal data are inaccurate you have the right to ask for their update. To do this, please contact Us using the details set in article 2 of the present privacy notice. right to data portability: Where We are processing your Personal data because you have given Us your consent to do so or when their processing is necessary for the performance of the contract that binds Us to you, you have the right to request that the Personal data is transferred from one service provider to another. right to file a complaint: If you are unhappy with the way in which We have handled your Personal data, you have the right to file a complaint with the Federal Data Protection and Information Commissioner (FDPIC) or with the supervisory authority of your country or residency. We may update this privacy notice from time to time without notice to you, so please check it regularly. We will however aim to bring any significant changes to your attention. This privacy notice and any question deriving from it or linked to it, and to the Website’s and Services’ use are subject to Swiss law, excluding its conflict of law rules. You accept and submit to the exclusive competence of courts of the headquarters of the Tourism Office.